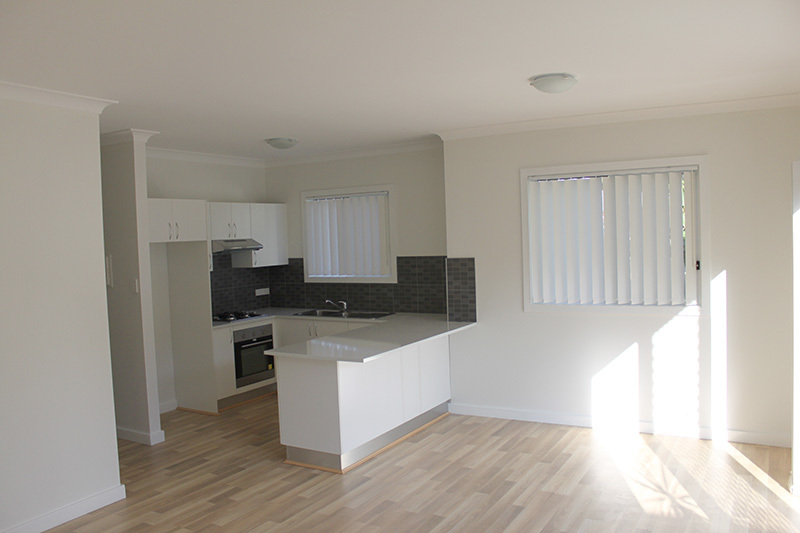 This granny flat in North Ryde boasts a modern and open plan layout. 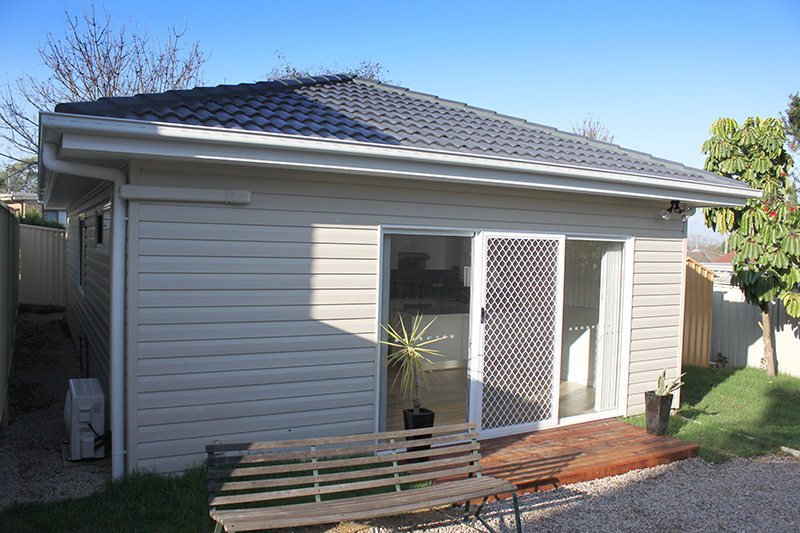 This granny flat is based on ‘The Grant Design’ with a hip roof design. 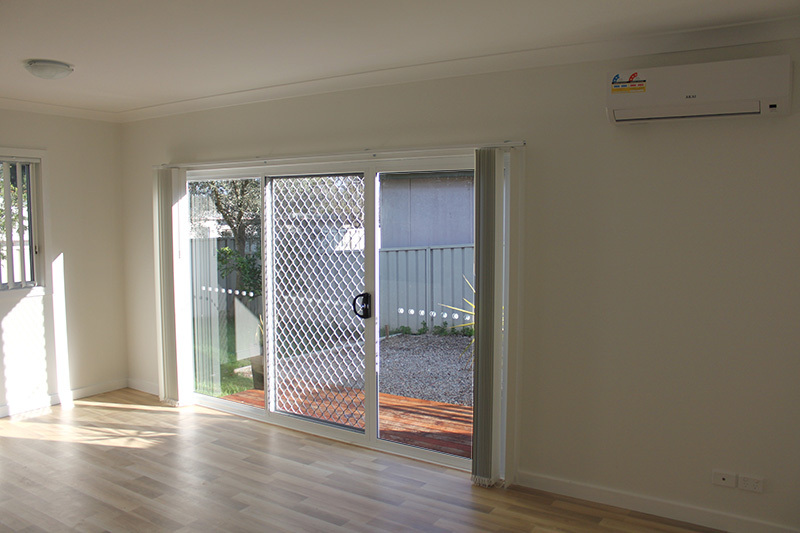 This is simply a preference which this Owner wanted but was also chosen to minimise the impact to the rear yard. North Ryde is in Sydney’s northern suburbs. With its close proximity to the Inner Sydney City, North Ryde demands high rents. 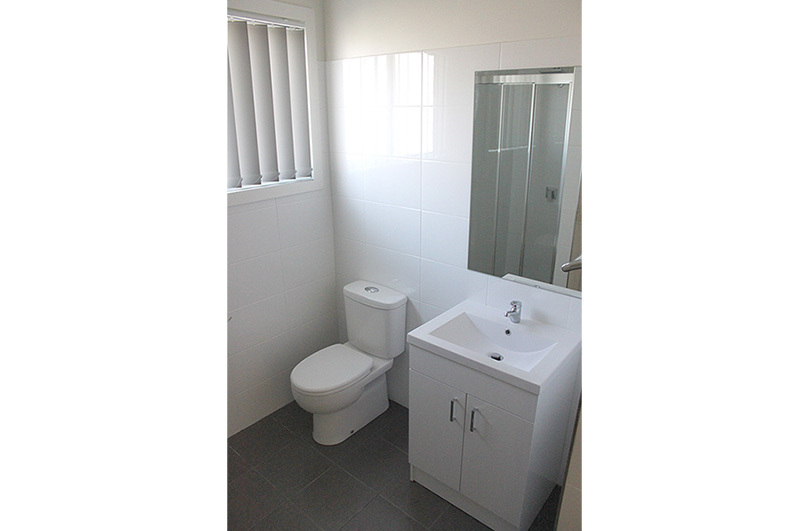 The Owners took advantage of this with an overall granny flat project which looks and feels like it ‘belongs’. The granny flat was built to be sympathetic and congruent with the existing landscaped form in this leafy suburb. Ryde City Councilis very supportive of secondary dwelling development and regularly hosts workshop on affordable rental housing solutions. If you’re an investor looking to maximise yields, you need to design your dwelling to suit the natural and built forms within the locality. These husband and wife investors were willing, in consultation with us, to be innovative and inventive with the structure. They also splurged a little bit with lighting and other energy efficient solutions to attract the right tenants. Many other quality inclusions at no extra cost. Our buying power allows us to provide these quality inclusions at no cost to you, the investor! 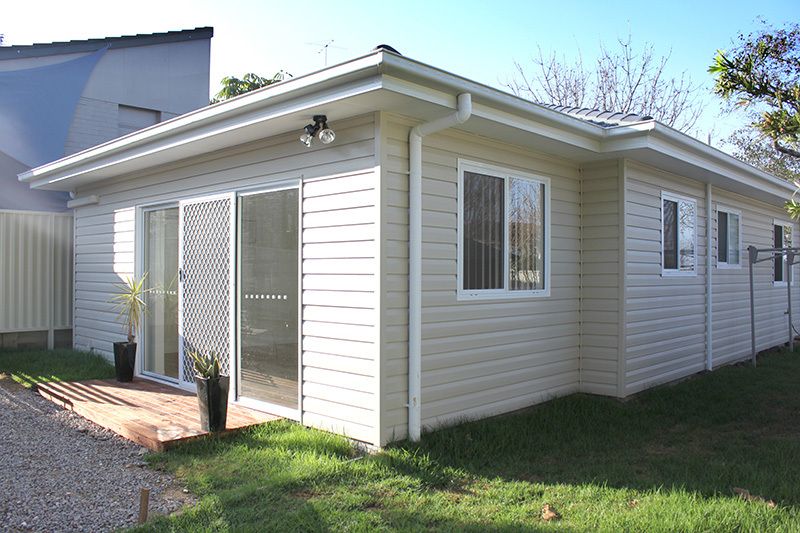 You can view and further customise the turn-key build price of this granny flat right here.